Luxury Nepal travel captures the Himalayas, sceneries, culture, history, landscapes, and romance. Luxury Nepal travel dedicates to the travelers who love the blend of celebrated hotels, private chauffeurs driven Nepal transfers. Furthermore, dedicated coordination of the tour operator making a hassle-free journey, while enjoying the breathtaking scenery of Nepal. 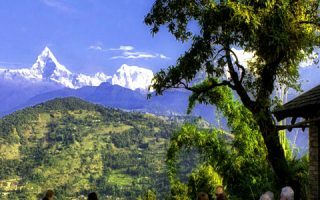 Essentially, the lure to travel Nepal may be the scenic beauty and the majestic Himalayas; however, the hospitality of the Nepalese people will remain for a long time. By the end of luxury Nepal travel, travelers will know that Nepalese are one of the hospitable people in the world. For the majority of the explorers, Kathmandu is a beginning stage of their luxury travel in Nepal. Kathmandu has experienced a monstrous renewal in recent years. This medieval and enchanting city is welcoming different international hotel brands such as Marriott, Ramada. The foundation of the city has gone significantly better from limited streets to a wide breath street all through. In any case, the traffic remains the scam in this medieval and excellent Valley. Moreover, the visitor encounter is winding up exceedingly critical within the hospitality industry in Nepal and the inclusion of forefront representatives is being progressively vital to the travelers’ experience. A personal touch is a vital element for Luxury travels. Individual human contacts have dependably been a key piece of the DNA of Travelsmith Nepal, a luxury destination management company in Nepal. We educate our guests regarding the culture, tradition and important doe’s and don’ts. This will help set the right expectation among our guest and some cultural immersion to avoid having cultural shock after entering Nepal. Likewise, upon their arrival, we maintain this personal touch by coordinating with our guest on daily basis. This ensures that we meet their expectations and exceed in many times. Amazing service is the support of any luxury travel in Nepal – without it, the underlying charm of each other positive will dissipate. Further, travelers now days do not want everything to be prepackaged and bundled. Travelers wish to customize their tours and want their tours to be flexible and not rigid. Hence, flexibility and customization are two strong pillars of luxury travel. All the tour packages on our website are fully customizable and flexible. Furthermore, if our guest wishes to change the sightseeing spots on the date, we happily do so to make their Nepal travel flexible. We see this aspect as appreciating our guest for trusting us as their travel partner. Souvenir secret at the end of their Nepal tour is our way of thanking our valued guests. Souvenir is not associated as an extra cost; we just want our clients to remember us as one of the travel service providers who helped them in making their tour a memorable experience. In conclusion, luxury Nepal travels is a combination of all the facets described below. This has been our personal experience helping us to brand our company and having repetitive clients.